Don’t Cry For Me Chicago. 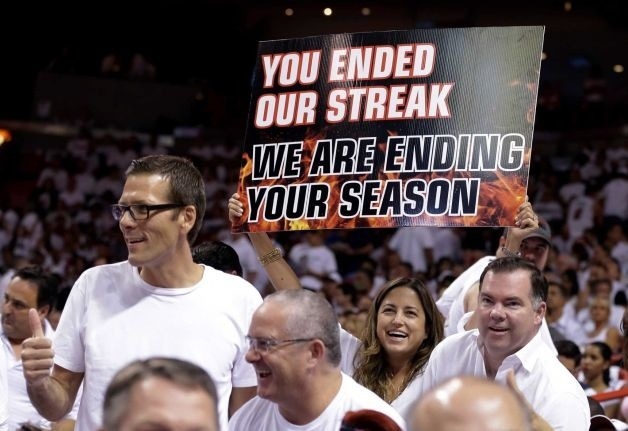 No tears should be shed for the Chicago Bulls, who were eliminated by the Miami Heat in 5 games. The depleted Bulls played this series with real disdain for the Heat only to continue to fall short after a surprise victory in the opening round of the Eastern Semi Finals. The defending champs were in the end too much to contend with, if anything can be taken into the up coming off season for the Bulls is that if this squad gave Miami this much problems “Wait until next year” when they have a full roster. Chicago showed the rest of the teams remaining in the playoffs that the Heat can be beaten after all, their king Xerxes or even that scary guy from Iron Man 2, they put enough dents in the Heat armor waiting for some team to come along and finish the job. Which won’t be easy after all Miami showed why they have the best player in the playoffs and the mental toughness to advance to their third consecutive Eastern Finals.